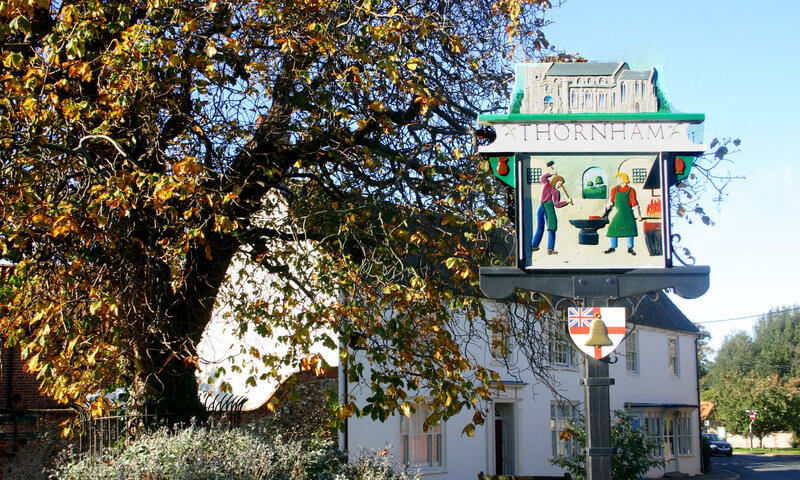 Thornham History Society was established in 2013 as an informal group to research, collate and catalogue the various scattered photographs, records and archives which tell the considerable history of our small village. In addition, the Society has become custodian of several collections of artefacts. 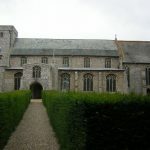 Our village history dates back to the Romans and the Anglo-Saxons, our Church was started in Norman times, if not earlier. We saw the start of property development in the early Georgian era, had smuggling (and the associated violence) as a major occupation in the 1780s and were home to a notable ironworks during the Arts & Crafts period of the early 1900s. 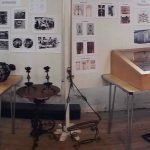 As well as undertaking research, the Society aims to put on regular public exhibitions and displays as well as publishing booklets and pamphlets. A pamphlet on the village’s history is currently available in All Saints’ Church and at THS events. The Society provides an informal and relaxed way of looking at how the village was and how it has changed – everyone is welcome and no formal commitment is required. For more information, please contact David Brooks on 01485 512548 or e-mail brooks472@btinternet.com. The first major exhibition was a Heritage Day held on 21st – 22nd February 2014, presenting a general exposition of the village’s heritage. Aspects covered included the ironworks of the early 1900s, the village school and military subjects such Major David Jamieson, who won a Victoria Cross, and Ian Hopper, who mounted his own resistance against the Germans in France during WW2. Information was supported by a miscellany of artefacts, press cuttings and photographs. A slide show was also included, showing HM Queen’s visit on 28th January to open the new Village Hall. 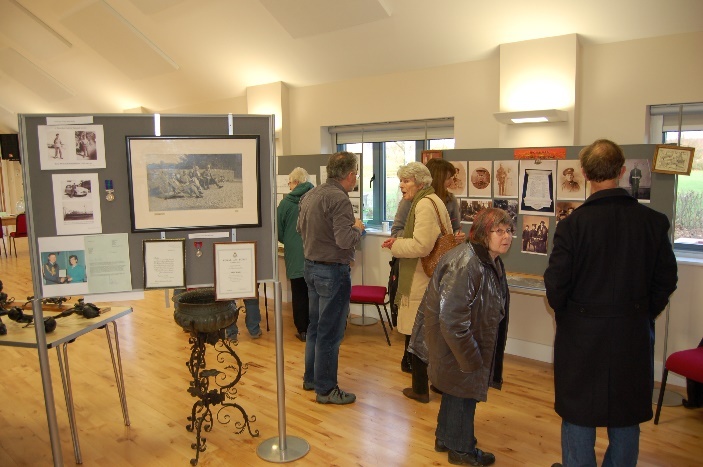 The next exhibition, entitled Thornham at War – the village and WW1, was mounted on 20th – 21st February 2015. It featured aspects of the Home Front, life in the trenches and the aftermath of the war, with research on Thornham’s fallen heroes and artefacts and materials which had not been shown previously. This seemed to have a broad appeal and attracted a diverse mix of people, from those mainly interested in the history of the village to those who were more focused on the war aspect. It also seemed to appeal to people of all ages, including several young families. 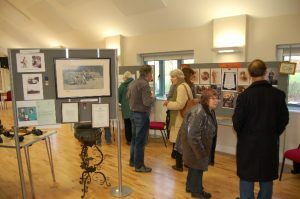 In addition, this exhibition featured the launch of the book Thornham – Then and Now, in which John Warham and Stephen Greef compared historical and contemporary photographs of the village and its people. 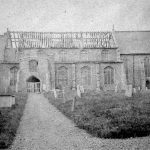 29th – 30th October 2016 saw a display mounted in All Saints’ Church detailing its long history and the many rebuildings and refurbishments to which it had been subject. 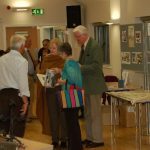 Following a decision to make major exhibitions a biennial event, Bricks & Mortar – Thornham’s history told by buildings and their occupants, was held on 19th – 20th February 2017. Covering occupation from the Iron Age to modern times, the history of several significant properties (from Georgian mansions to agricultural hovels) was described, with details of the wealthy merchants, farmers, war heroes and ordinary people who had lived in them. Attendance was disappointing but that might have something to do with the arctic weather conditions ! New ground was broken in March 2017, when we were asked to provide support to a party from the Central Region Ops. Command of the Border Force (who carry out immigration and customs controls for people and goods entering the UK) who visited the area on a history-themed training exercise. This was intended to expand relevant historical knowledge and identify lessons that can be applied to their modern operating environment. 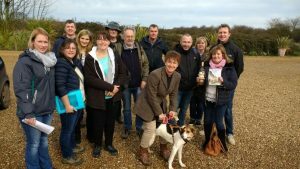 They visited Thornham and Old Hunstanton, learning about the violent clashes between the authorities and local smugglers in 1782 and 1784 respectively. 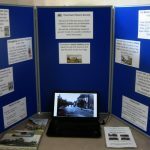 On 1st – 2nd May 2017, we had a small stand at the Docking Heritage Fair, including, for the first time, a PowerPoint presentation of old village photographs. 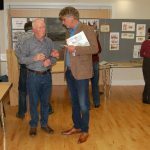 This proved popular and the event provided a useful opportunity to meet with representatives of other local history societies. A display at All Saints’ Church over the Harvest weekend of 23rd – 24th September 2017 included a detailed history of the ironworks from 1887 – 1920 and represented the largest assembly, for many years, of the items which they produced. On 25th – 26th September 2017, we were involved in a return visit by the Border Force. On this occasion, a wreath was laid on the grave of Customs Officer William Green who had been shot at close quarters during an ambush by smugglers. 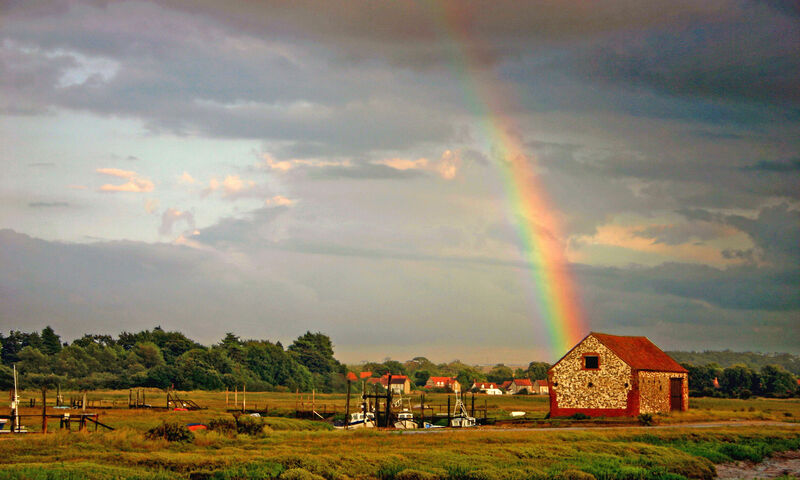 The next major exhibition is scheduled for February 2019 and, being 80 years since the start of WW2, that conflict will be the subject of At War Again – tales from Thornham 1939 -1945. Again, this will combine both very local stories with a wider view of living conditions at that time; it is intended to include some multi-media experiences for our younger audience. The Society would like to hear from anyone with information about that turbulent period of the village’s life.